There has been a wide variety of Final Fantasy spinoff games over the years, from sprawling turn-based strategy titles such as Final Fantasy Tactics ($13.99), to some more eccentric entries like Chocobo Racing for the original Playstation. While fans may be focused on the upcoming Final Fantasy XV, Square Enix are sharing some of the love with mobile gamers, as Justice Monsters Five (Free) has finally launched today on the App Store for free, seven months after we first learnt of its existence. Bizarrely merging pinball elements with RPG mechanics, this new spin-off title will certainly be one for any fans of the massively popular social RPG Monster Strike (Free) to try out, and worth a look for anyone looking to fill the void until the November release of Final Fantasy XV. 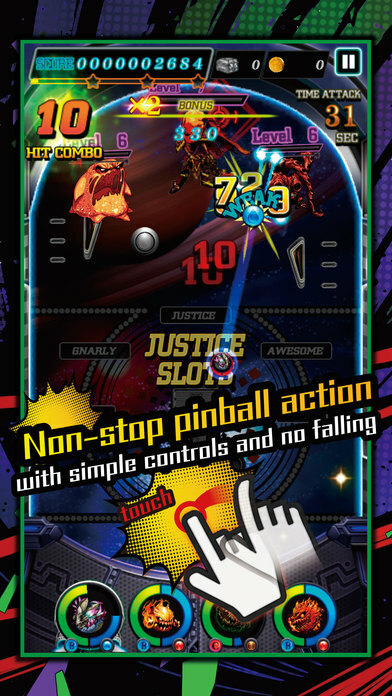 While the App Store description for Justice Monsters Five may be relatively scarce, the actual game doesn’t appear to be lacking in substance, and it certainly isn’t just Final Fantasy Pinball, for better or for worse, and is actually a minigame playable in the upcoming Final Fantasy XV. The core mechanic is extremely reminiscent of Monster Strike, in that you’re firing off a collection of creatures from the series to attack enemy beasts, while scoring points off typical pinball related obstacles. Defeated monsters can become your ally in battle, and can join your ranks to be launched off in a later level. While there are some questions as to whether there is much depth beyond these core mechanics, the fact that each recruitable enemy has its own traits could lead to a certain degree of variety and strategy in who you fire off to defeat the villainous Lord Vexxos. Of course, the freemium nature of Justice Monsters Five will likely involve a significant degree of in-app purchases which is an inevitability with most new mobile Final Fantasy titles, so for anyone looking for a premium experience on their iPhone, it’s probably better considering one of the main series games. 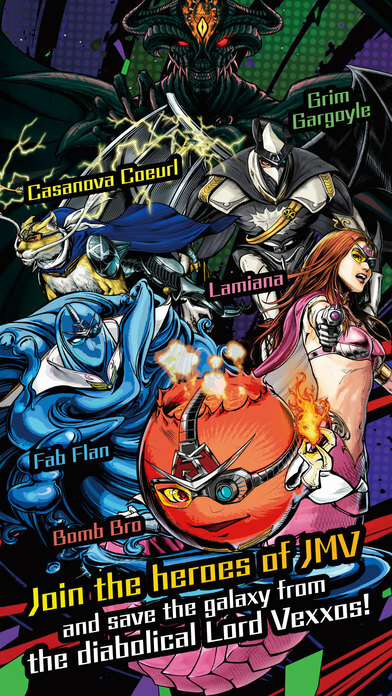 For anyone else, Justice Monsters Five is based off a strong concept in Monster Strike, and should be a fun distraction for Final Fantasy fans awaiting the perpetually delayed Final Fantasy XV. Be sure to share your thoughts on Justice Monsters Five on our forum thread.